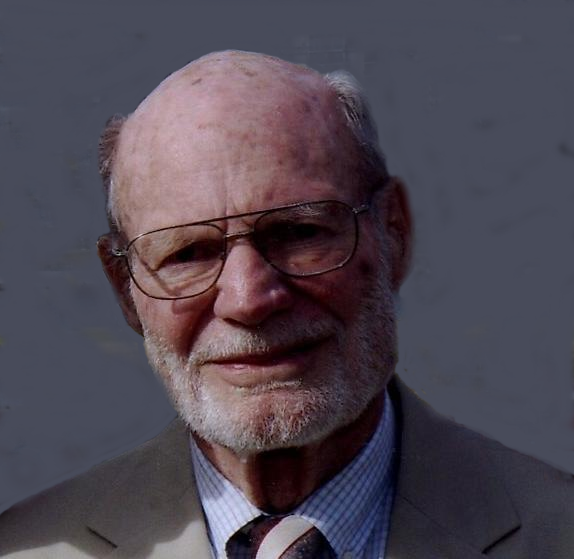 Beal Baker Hyde died on March 31, 2015. He was born in Dallas, Texas on June 26, 1923, the first of two boys born to Alice Beal Baker and Mark Powell Hyde. He spent his boyhood in Wellesley Hills, Massachusetts. In his young life, he was fortunate to attend two summer camps, one in Vermont where he learned to swim. Later he spent two summers on the Prairie Trek Expedition exploring the southwestern US. Influenced by these adventures, Beal became a very active and outdoors-loving man. He led his family on several back pack trips to the Sierra Nevada Mountains. He enjoyed skiing and swam every day at noontime during his tenure at University of Vermont. At age 18, Beal enrolled at Amherst College, where he studied until the bombing of Pearl Harbor compelled him to enlist in the Army Air Force. He served in India and China. Upon his return from the service, he completed his undergraduate degree and received a PHD in Botany from Harvard. He met, courted, and married Margaret Lynn “Peggy” Powe. With Peggy at his side, Beal took academic positions at, among others, the University of Oklahoma and Caltech, before settling with their three children in Burlington in 1965. The Botany department at UVM continues to benefit from his tenure as chairman. He started the Cell Biology program. He served terms as President of the Faculty Senate and Faculty Ombudsman but also took his role as student advisor very seriously. He was twice on sabbatical, once for a year in Denmark and later for a year in Cambridge, England. He remained at UVM until his retirement. At his home in Burlington, Beal spent long pleasant hours creating and maintaining his perennial flower garden. He was especially proud of his lilies. One of his greatest joys was folk dancing with Peggy and their very dear dancing companions. Beal and Peggy traveled the world, visiting the Far East (China), the Middle East (Turkey and Egypt), the southern hemisphere (New Zealand and Peru), the far north (Scandinavia), as well as numerous destinations in Europe and the US. Beal had an artistic side. At one time, a recorder player, later a weaver, he finally found his métier in carving. He would whittle a spoon or some figure on every back pack trip. Sometime in the 70’s, his son bought him a set of very nice carving tools. With a botanist’s eye and an artist’s hand, Beal created pieces, not only beautifully carved but using the character of the wood in sympathy with the design. His carvings included bas reliefs, free standing sculptures, and panels for chests. Beal and Peggy were longtime members of the First Unitarian Universalist Society where Beal held various positions over the years, including several years on the Board of Trustees and as chair of the Canvass Committee. He is predeceased by Peggy, his wife of 57 years and his brother, Alec. He is survived and will be missed by his three children, Lynn (Jorgen) Overgaard (Penn Yan, NY), Thomas Hyde (Burlington, VT), and Alice (Gary) Lesney (Inver Grove Heights, MN), five grandchildren, Sidsel (Mike Sullivan) Overgaard, Catherine (Shane Woodford) Overgaard, June Lesney, Thomas Lesney, Paxton Hyde, and three great grandchildren, Else Sullivan, Mette Sullivan, and Henrik Woodford, as well as very special friend, Barbara Madden. A memorial service is scheduled for July 18th, at the First Unitarian Universalist Meeting House in Burlington, Vermont. In lieu of flowers, contributions may be made to the American Civil Liberties Union or the charity of your choice.